Don lightweight earrings that make a statement but feel like you’re not wearing anything at all. 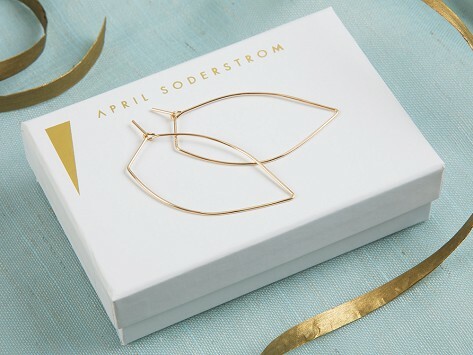 Made from ultra-thin sterling silver or 14k gold wire, these leaf-inspired earrings thread through for extra comfort and have a minimalist design that works day and night. Dimensions: 2" x 1" x 0.00125"
Finally - an earring that I can wear! These earrings have the visual interest of their unusual shape combined with being lightweight and easy to wear. I love them! She loved this pair also.!! These were a gift for my daughter. She lives the fact that they are lightweight, elegant and simple.